Popping by to say Happy Purim! It’s been WAAAAYYYY too long and I do apologize! 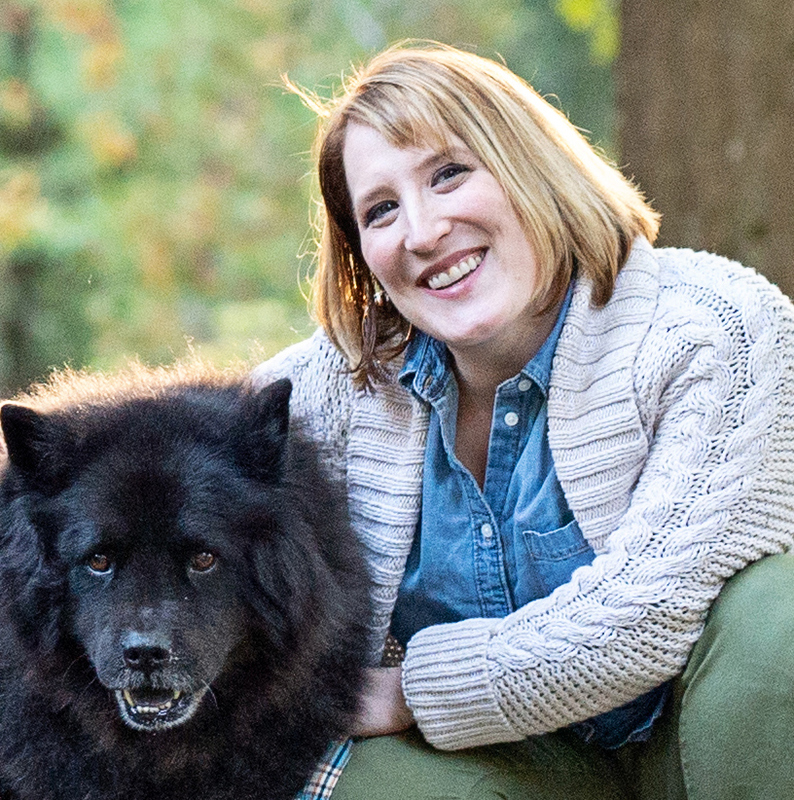 Life has simply happened and I have been busy trying to keep up. I’m still here just not crafting as much as I’d like at the moment. But with Purim almost here (it starts Saturday night), it’s time to think about some Purim goodies! You might recall that last year after my son got lots of Valentine’s treats, I opted to make some fun mini mishloach manot instead. 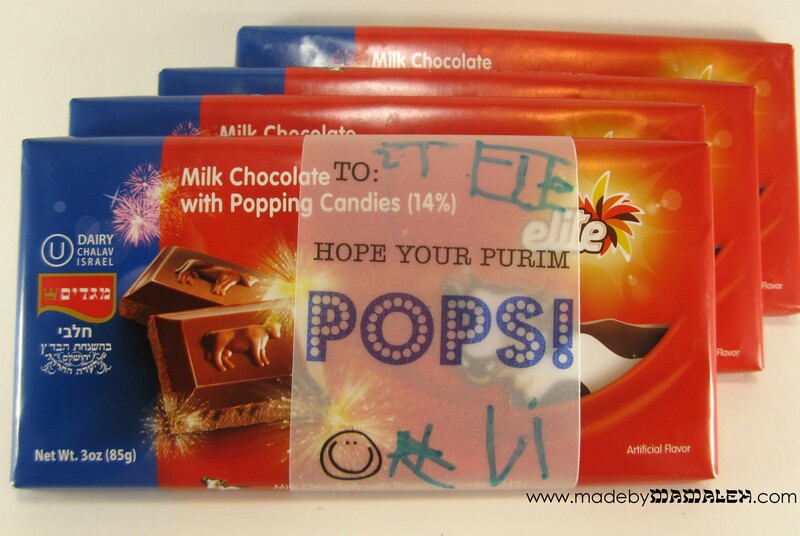 So, I decided to do the same thing again this year and since his pre-K class is on the smaller side, I decided to treat the kids to one of my favorite (and quite novel) Israeli sweets: Elite Milk Chocolate with Popping Candies, or in other words a chocolate bar with pop rocks! If you’ve never tried these, you are missing out! I must confess to you that when my husband (who back then was my boyfriend) and I did Birthright back in 2005, we came back with so many of these in our suitcase, I’m pretty sure the El Al agents had a good laugh at our expense. There are several places you can order these online but the prices are definitely higher than what you’d find in Israel or even locally. I was so excited when I discovered our local Safeway started carrying them, especially in Seattle! So, in order to put together these cute mini mishloach manot, I designed some simple label wraps in Publisher and printed them on vellum for a fun look (my son was very intrigued that you could see through the paper). But really any paper or light-weight cardstock would work equally well. Each is 2.5 inches wide so you’ll get 4 per standard 8.5×11 sheet of paper – there are no cut lines just start from the left and cut every 2.5 inches. Once they are printed and cut, address them (as you can see my son is working on writing all of his letters) and use some cute washi tape to secure them in back and you have some adorable Purim treats. 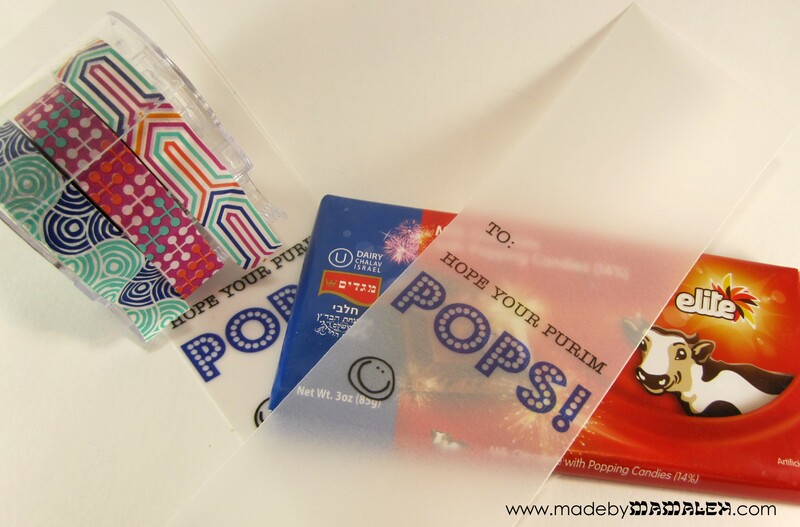 You can download the label wraps for yourself for some last-minute Purim printables. These would also work well used as an addition to a traditional Purim basket of goodies. If you are looking for ideas in that department, two of my favorite Jewish blogs, Chai & Home and Design Megillah each have some darling ideas! What about you? Are you putting together any purim goodies? This entry was posted in Gifts, Kids, Printables, Purim and tagged kids, mishloach manot, Printables, Purim. Bookmark the permalink. Thanks for the plug, Mamaleh but I miss your posts most of all! I love the combination of crafted label and cute kid handwriting. Perfect! And now I want some popping chocolate. How have I never heard of this?